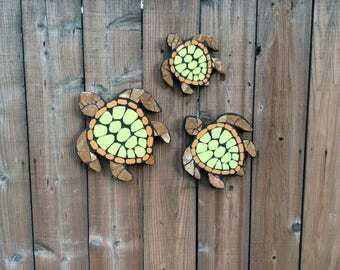 My turtle sculptures are a one of a kind tile art that is made to brighten a garden, pool or fence. The tile mosaic is made on a dense foam shower board product. Made for tile but most importantly for complete water resistants and being so light to mount to a wall. 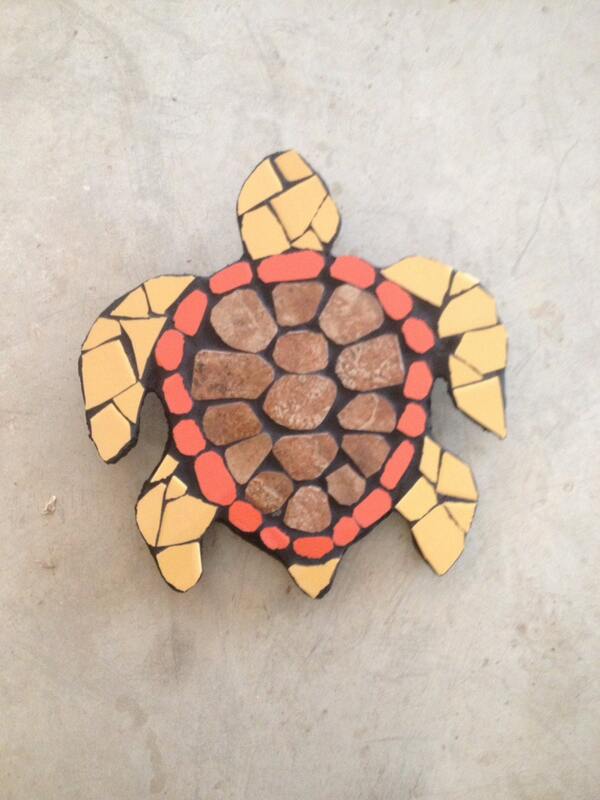 The beauty of tile is that it does not fade with the suns UV rays. 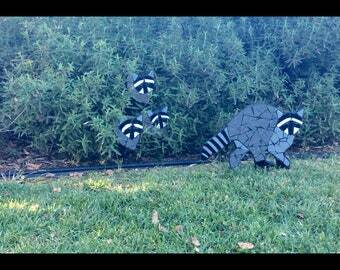 Your mosaic will last year after year looking bright and cheery. They are sold as a set of 3 or individually. 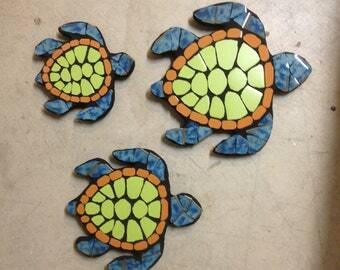 The largest Sea turtle is 14"x13 and weighs about 4 lbs sells for $85 by itself.